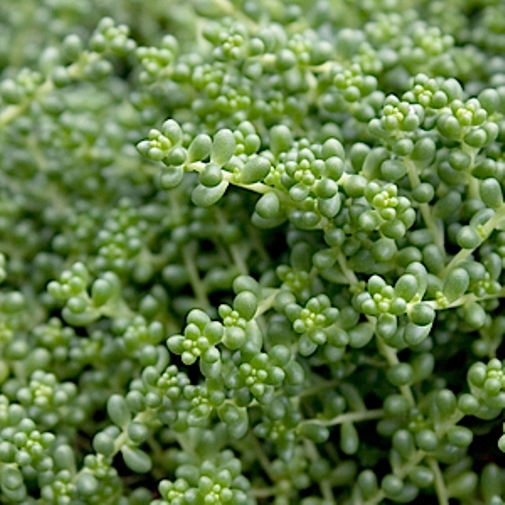 Sedum album 'Chloroticum'. Butterflies love the delicate, white star-shaped blooms in late spring to summer. The foliage consists of vibrant yellow-green teardrop-shaped leaves forming a low spreading carpet. Drought-tolerant, this variety is great spilling over rock walls and banks. 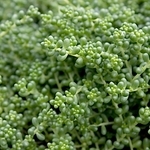 Sometimes referred to as sedum Baby Tears.